Canada's jobless rate held steady at 5.6 per cent in December as the economy added 9,300 jobs, but about the same number of people were looking for work. Most of the jobs were part time, Statistics Canada reported Friday. As 28,300 new part-time jobs were added, 18,900 full-time jobs were lost. The numbers were slightly lower than the gain of about 10,000 jobs that economists had been expecting for the month. 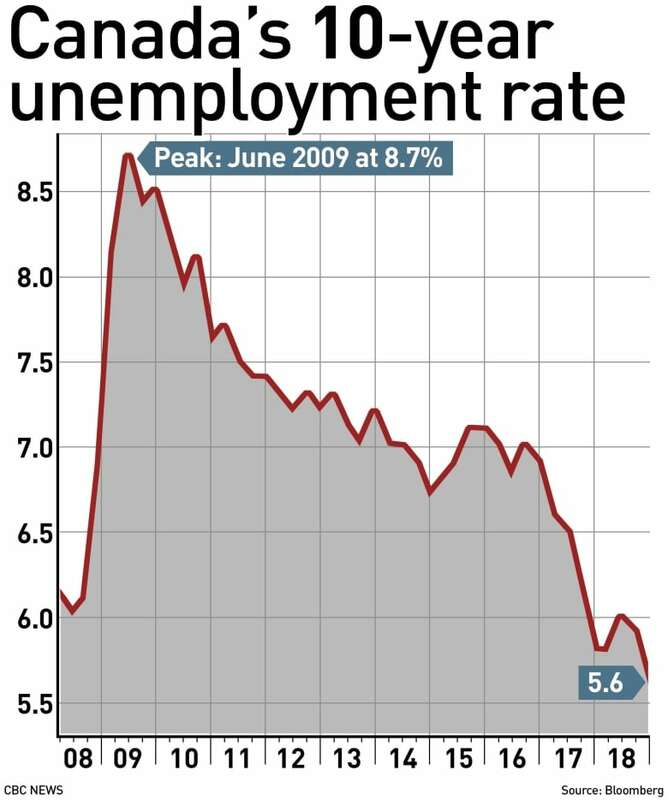 The jobless rate, meanwhile, remained at the lowest level on record — 5.6 per cent. 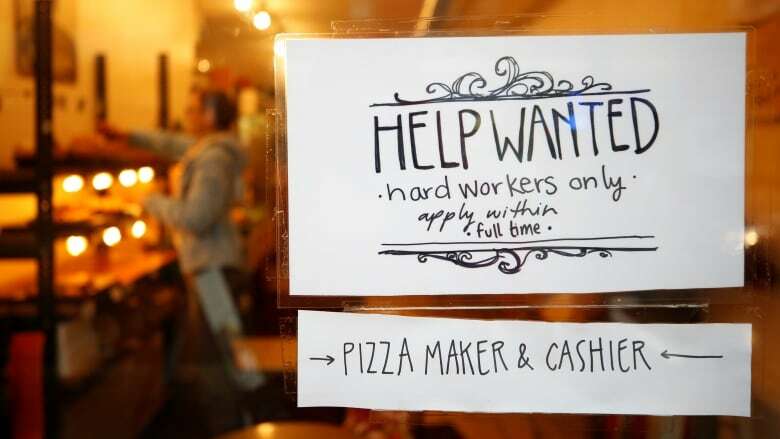 A record-low jobless rate may seem like an encouraging sign, but that figure belies some troubling trends below the surface, one economist says. "The headline unemployment rate may have defied expectations to remain at a record-low 5.6 per cent, but the way we got there was less encouraging," Brian DePratto of TD Bank said. "Not only were the job gains entirely in part-time work, they were also driven by self-employment as both private firms and the public sector shed jobs." He also said that despite the economy creating new jobs, wages aren't increasing much, as pay packets grew on average by just 1.5 per cent last year — less than the current inflation rate. "While many measures would suggest the we have a tight labour market, the signal from wages says otherwise." Across the country, there were job gains in Newfoundland and Labrador, while the job market shrank in Alberta, New Brunswick and Prince Edward Island. Everywhere else, job market held steady. December's figure means that for 2018 as a whole, Canada's economy added 163,000 jobs, which represents 0.9 per cent growth. That's lower than the pace of growth seen in 2017 (when the job market expanded 2.3 per cent) and 2016 (when it grew by 1.2 per cent). While a weak number for the year as a whole, Scotiabank economist Derek Holt said it's a good sign that the pace of job creation clearly picked up in the latter part of the year, as the economy cranked out 178,000 jobs over the last four months of 2018, a streak he described as "nothing short of breath taking of late." "That buys a lot of insurance against housing downsides that I think stabilize," he added. "Job figures like this could well support the spring [housing] market."